Okay, no pun intended, though I am decidedly on the “right” wing of Judaism. Hahaha. Really, this post is about assessing what direction you (or me) are moving in. In seminary I learned that if you’re not moving up spiritually, you’re moving down. There is no such thing as a plateau. But, hey, no pressure, right? This past Shabbos, I had the luxury of davening. In shul. With other people. As the mother of two little boys, this does not happen often. So I tried to really focus on the words of the tefillah, to really concentrate on what I was saying (not so simple, actually). Now, there are certainly various opinions on what one could focus on during the recitation of this verse. Personally, I focus on the concept that in whatever direction a person desire to go, Hashem will make the path available, so to speak. So, if I really, really desire to grow spiritually, Hashem will present me with choices that will move me in that direction. And, if the opposite (G-d forbid), different choices will appear. So, when I was davening this past Shabbos, and I came to this verse, I thought to myself, which direction am I going? What are my choices saying about my desires? And how can I make choices that are going to move me in the right direction? The holiday of Shavuous is fast approaching (it’s next week!). This is holiday where we celebrate the giving of the Torah, where the Jewish people accepted the mitzvos, sight unseen. This seems like an appropriate time of year to assess where we’re holding as far as observance of the mitzvos goes. If you say Ashrei, what do you think about when saying that verse? A timely post. As mothers of young children, we often get so enmeshed in the daily details that we fail to see the bigger picture. Stopping periodically and asking ourselves “in which direction am I travelling?” is essential. Thank you for this eloquent reminder. Thank you for your comment! It is tricky to remember to stop and reflect when life is so busy, but it is essential! In seminary I learned that if you’re not moving up spiritually, you’re moving down. This is right (no pun intended here) but not always so easy. So true. Sometimes I wish I could just plateau. Growing is difficult to do all the time! I heard a mashal to explain this concept – it’s like climbing up a down escalator. You have to keep moving up otherwise by default you are moving down, even without trying. Also, the kavanna I have at “posei’ach” (when I get to say ashrei) is: Hashem opens His hands and provides for every little thing. Hashem sustains each and every creature from the small ant to the big elephant. So why should I worry about the things I need? Hashem will most certainly provide me with whatever I need (materially, financially, emotionally…) to be able to live a full and happy life! 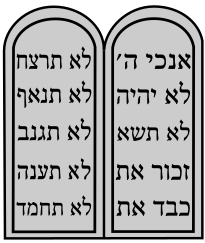 This is not to say I have this complete kavannah every time I say it – I expounded on the thought right here, but my basic thought is that Hashem provides sustanence to every creature and will surely give me the parnassa I need. Btw, we say this same passuk of posei’ach in the last part of birchas hamazon-grace after meals (in yiru es hashem kedoshav). Thanks for the added thought of kavannah, I thought of you this shabbos when I was benching!